The companies below have changed the way we think about work and consumption. By maximizing our resources, the stuff we own, the skills and free time we possess, allows us to tap into the potential all around us. Every purchase becomes a potential investment, every idle hour a potential paycheck. And for us consumers, these services offer either low prices or a level of convenience beyond what a more traditional business can offer. Airbnb allows people to rent out their homes or rooms. The service has booked more than 5 million overnight stays in its four years of existence. Personally, I am a fan and have enjoyed using the service. Read about my experience here. 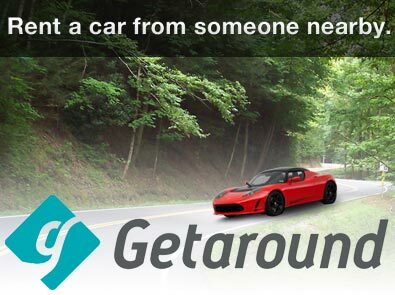 Getaround allows you to rent out your car. Zipcar is like a car rental service, but instead of having to go to the car rental place, stand in line, and pay in 24 hour increments, with Zipcar you can rent by the hour, pick up a car nearby, and access the car with a Zipcar membership card that is sent to you. I found the service convenient when I lived in New York. 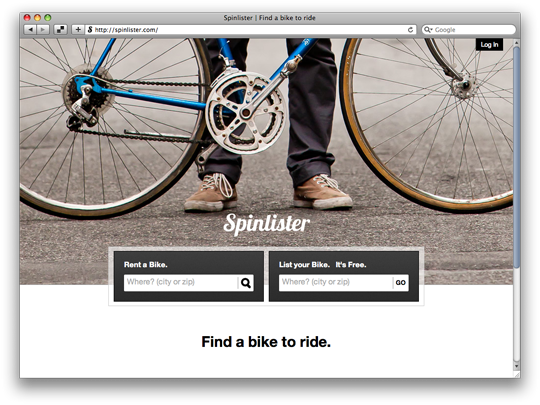 Spinlister– allows you to find the best bikes to rent online, whether from individuals or existing bike rental shops. Ayoopa – is the online rental marketplace for your travel checklist. Have unused backpacks, luggage, camping gear…list it and make money. Travelling and don’t want the hassle of storage or expensive travel gear, just rent it locally. 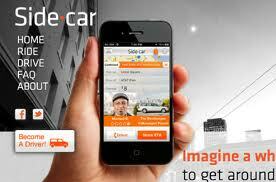 Uber – A service that lets anyone summon an executive car via their smartphone. Cashless transactions (customers’ credit cards are charged, tips and all, behind the scenes) allows passengers to feel like their personal chauffeur has been idling around the corner. Sidecar connects you with other drivers in your community. All you have to do is enter your pick up and drop off location and then wait for the driver to pick you up. The best part – there is no charge! ParkingPanda allows you to find parking and rent out your parking space. Fun2Rent is a unique service that connects owners of recreation and powersports with those looking to rent. Our team provides a secure and insured platform which enables owners to safely rent out on their idle toys to qualified and insured renters. We are the first and largest peer-to-peer rental site for boats, jet skis, ATV’s, snowmobiles, motorcycles, and trailers. RenttheRunway is like Netflix, but with fantastic dresses and accessories. BagBorroworSteal allows you to rent designer handbags by the week, month, or season. 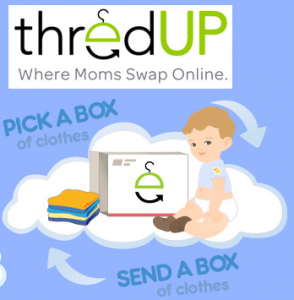 ThredUp is an online children’s consignment made fast, easy, and affordable. Ebay let’s people sell unneeded stuff from their garages. ToolSpinner is an online rental marketplace connecting tool renters and tool owners. Rover is a convenient, more humane, less expensive alternative to traditional dog boarding. 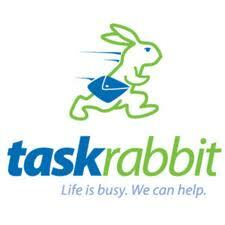 TaskRabbit an eBay for real world labor. Get just about anything done by safe, reliable, people. Exec allows you to get local help to help run errands for you, do virtual tasks, pick up and ship packages, etc. Cherry is the carwash that comes to you. Park anywhere, check in online, and we’ll wash your car right where you left it. StudentBookTrades allows you to trade, Buy, and Sell College Books in 3 Easy Steps! 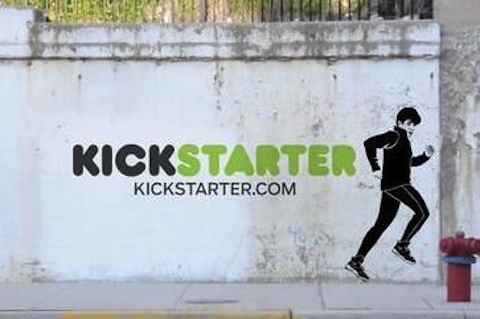 Kickstarter Kickstarter aims to let creative people of all kinds — journalists, artists, musicians, game developers, entrepreneurs, bloggers — raise money for their projects by connecting directly with fans, who receive exclusive access and rewards in exchange for their patronage. More than just a fundraising app, Kickstarter’s a publishing platform where project creators can communicate with the people that are supporting them. Fun2Rent enables owners of boats, jet skis, ATV’s, and other powersorts to rent out their idle “Grown-up toys”. Rent from owners near you and save with insurance. Awesome! Will add it to the list. Thanks. When are you going to be available in Houston, TX? I would love to be a Task Rabbit for Exec. Everything seems to be in California. Good question Marsha. It seems it takes a while for innovative ideas like these to make their way to the South. You don’t have to wait that much longer Eric. We’ve started a #collcons idea right here in Houston and so far so good. Ayoopa is the online rental marketplace for your travel checklist. Have unused backpacks, luggage, camping gear…list it and make money. Travelling and don’t want the hassle of storage or expensive travel gear, just rent it locally. We also provide free delivery on Saturdays only in Houston. Would love to hear your feedback, http://www.ayoopa.com.